Every time we perform, we make ourselves vulnerable. In the beginning, we think we are subjecting ourselves to the scrutiny of others. Then one day, we realize it’s ourselves we fear most. Maybe it’s because we can’t escape our thoughts — we keep reliving a bad performance, wondering why we didn’t do better. But I think it’s also because we don’t ever know if some experience will tear open our belief in ourselves and rip out our fundamental sense of purpose and direction. If that is where you’re at today, musically or otherwise, take the time to watch these videos of Brené Brown. They are worth it. Solo & Ensemble contest is just a few days away, and as always, it has me thinking about the inner game of music performance. Here’s a few humble thoughts on the subject. Be honest about root causes of anxiety. I believe musicians walk around with a shared, unconfessed fear: “What if I botch this performance, thereby wasting countless hours of my life I spent practicing?” It is a risk we take as performers, and we can do 2 things to address this fear: 1) Perform multiple times, not just once. 2) Reflect on the improvements we made to our musicianship over the course of weeks/months practicing that will serve us in the future, not just for one performance. Practice focusing through distraction. Have some people distract you — cough, talk, throw cotton balls, whatever. Anxiety is just internal distraction. Go Wonder Woman. 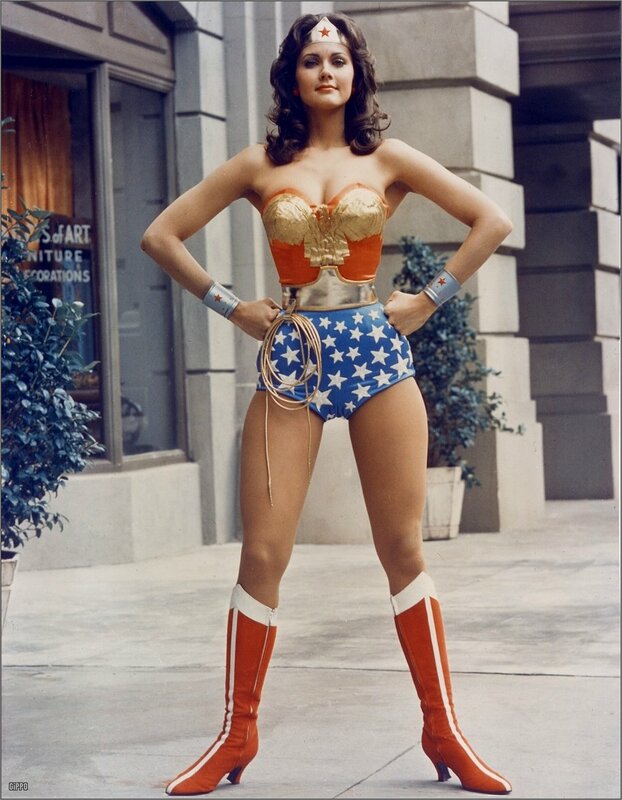 Standing in the Wonder Woman pose for 2 minutes has been clinically proven to boost confidence. Laugh. I think people play better right after laughing. Grab a cell phone and check out Awkward Family Photos, or stupid YouTube videos, and have a good belly laugh before you perform. Enjoy others’ performances. Don’t just show up for your performance time — stay to hear more music and support your friends and classmates. Remember that people want you to do well. I think this is even true of your competitors, whether they realize it or not. Think about the last time you watched anyone perform, live or on TV. You wanted them to do well, right? I believe as human beings, we’re programmed to feel this way. Own your piece. When you are ready to perform, at that moment, you are the expert in the room on your piece — you, and no one else. Be proud of yourself. Assuming you have spent time and effort preparing, you have nothing to be ashamed of. Allow yourself to enjoy being the musician you are. There will always be someone better than you, and someone worse than you. What matters is that you are alive and participating in the most distinguishably human act of creating art! Aim to achieve the highest compliment possible. And what is the highest compliment? Getting a 1 from the judge? Beating out your competition for State nominee? Those things are great, but not the ultimate compliment. In my opinion, if someone says to you, “What was the name of your piece? I really like it,” that is the highest compliment. It means you presented music that others enjoyed. Thanks for reading, and good luck to all the students performing this weekend! A little while back, I posted some on dealing with nerves. With Solo & Ensemble Contest coming up this weekend, nerves are on everyone’s mind, so I thought I’d revisit the subject with some thoughts and approaches that have helped me. 2. Realize that even if there are a couple spots that don’t come off as well as you like for whatever reason, it doesn’t mean the rest of the performance wasn’t musical. It also doesn’t mean you’re a bad player. I can’t think of any musician I know who doesn’t have some moment in their past where their performance was less than stellar. You might not have total control over what your nerves make your fingers do, but you DO have control over how musical you can be, and that is *always* the most important aspect of performing. 3. Accept that you can’t eliminate nerves. They’re part of the deal. Trying to suppress nerves is a waste of time and energy. Embrace them as a sign that you care about the piece you’re presenting, and that means that you’re becoming the kind of person this world needs: someone who cares about doing things well. 4. Don’t waste mental and physical energy trying not to be nervous. Instead, focus only on what you are doing at the present. If it is 2 hrs before your performance time, don’t think about solo time. Think about eating breakfast, or whatever. 30 mins before solo, concentrate fully on warming up – play scales, or play something easy and fun – don’t hit the solo right away. But of course, you’ll find yourself playing the solo before you perform – at that point, do not try to play the runs as fast as you can, praying in your brain that they’ll magically come out right. And don’t start at the beginning of the solo. Instead, isolate the different spots and **slowly** play them. That is important – it gives you a chance to have control over playing them correctly, and builds confidence, and reminds your finger muscles of what they’re supposed to be doing at different spots. 5. When you perform, devote your concentration fully to whatever spot you are at. If you are playing the intro, devote your brain power *fully* to playing the intro (and enjoying it! ), instead of worrying about some upcoming section. It doesn’t do you any good to worry about D when you’re at A, or to worry about what you did at A when you’re at D, for that matter. 6. Embrace the unpredictability of the performing arts. It’s kind of like a sporting event – you seriously don’t know what’s going to happen. It might be internal (nerves), or even external – someone could be sitting in front of you and suddenly sneeze violently, or whatever. It has helped me to learn to enjoy the excitement of not knowing what exactly is going to happen in performance. 7. Have faith in the fact that you have prepared, and prepared well. Enjoy and be proud of the fact that in the last couple of months, you have matured. We chase perfection, but we never catch it. However, the pursuit of perfection makes us constantly improve who we are as musicians and as people, and that is probably more valuable than perfection. In my previous 2 posts, we looked at examples of failure, the need for failure, and why the fear and impact of failure is so much greater for younger musicians in particular. I suggested thinking of performance as a pie. As musicians, we look at performances as indicators of our talent. Do we have what it takes to succeed under pressure? So if we bomb a performance, especially if we have only experienced very few performances in our lives, that failed performance takes up a much bigger percentage of our psyche than it would for a performer who has a lot more experience. We look at failure as being something we can’t control, which is somewhat true. Certainly, a primary defence against failure is preparation. (Which reminds me, I need to practice, LOL.) But a lessor known defense is to provide yourself with safe opportunities to fail. Suggestions! Last word: We need failure like we need salt – not too much, but definitely a bit sprinkled here and there. We need it to really develop as musicians, and as human beings. We also need it because every time we live through it, we learn that while our failures help make us who we are, they do not define who we are. Every musician has a performance pie. Every time you perform, that’s another slice of the pie. Let’s say a student is in 9th grade right now, and they started playing in 5th grade. That’s 4 years, with maybe 3 performances per year, which makes the pie 12 slices large. Now let’s say we have another more experienced player who has experienced 200 performances. That’s 200 slices in the pie. If the student experiences a failure, it feels huge – it feels like 1/12th of their pie. If the more experienced player endures a failure, that’s only 1/200th of their performance pie. Creating and experiencing success is important for our psyches. But as I mentioned in my last post, failure is essential for learning. We can be more resilient – that is, we can learn from failure without it destroying our psyches – by gaining more performance experience. Every time we perform, we add a slice to the pie, and we decrease the percentage that failure will occupy when it does occur. In my next post, I’ll suggest ways to do this. I have a few students auditioning for All-State groups next week, which requires the submission of 4 recordings. When it comes to recording performances, everyone’s fear is that they won’t get any good takes. Lesson 1: Failure happens to EVERYONE. I recall an all-day recording session for our jazz band in college. At the end of the day, we had one tune left to record – a sax quartet. The performers were 3 students (including myself) and our professor. Let’s just say the pressure was thick, particularly since my career as a sax player had been less than stellar. First take – a student screws up (not me). Second take – another student screws up (again, not me). By now, I was sweating, positive I’d be next. But I wasn’t. The next person to screw up was our professor (insert profanities here). Lesson 2: You will survive. The scene is an orchestra concert. 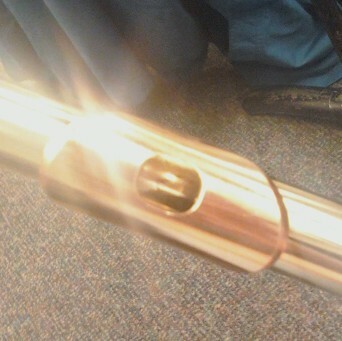 Yours truly on principal flute. Rachmaninoff Piano Concerto No. 2, I believe. We are on the last line of this fantastic piece, which means the amazing soloist is dripping on the piano, the orchestra members have headaches, and the audience hasn’t clapped for about 40 minutes. Guess who plays in the rest at the end of the piece, before the last 2 chords? ME. The Lone Flutist. Sometimes I still feel bad about that one, really. But it’s part of who I am as a musician. Lesson 3: Failure is essential. The Rachmaninoff experience taught me never to let my guard down. For 10 weeks, I sat in rehearsals and listened to people make that mistake, and never once did I feel the urge to make it myself. But when performance night came, it had become so much a part of my psyche that I heard it in my mind’s ear, and I played it. You need failure. Especially as a student. It helps you learn in a way that success cannot. Get as many experiences under your belt as you can to provide yourself with opportunities to fail. Failure is like a Labor Day sale: Fail NOW, while failure is cheap!